1 Sara Majka Famous Sayings, Quotes and Quotation. 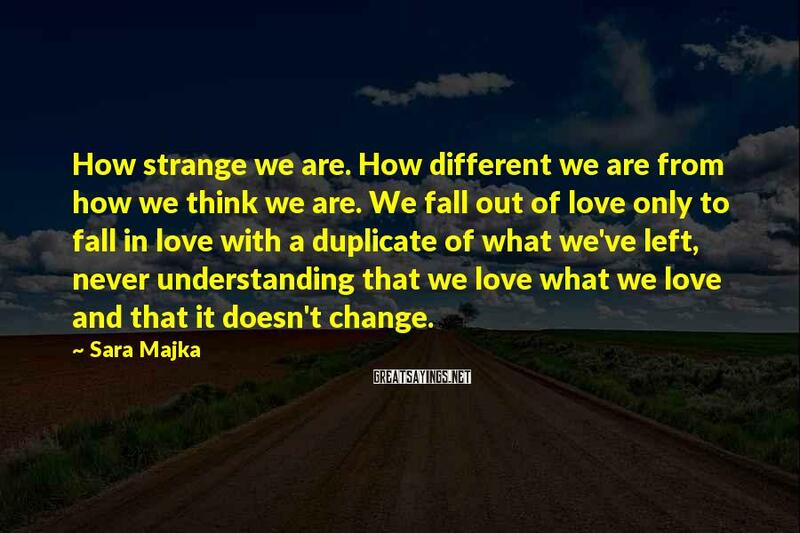 How strange we are. How different we are from how we think we are. We fall out of love only to fall in love with a duplicate of what we've left, never understanding that we love what we love and that it doesn't change.